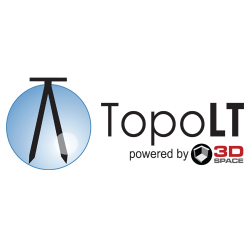 TopoLT is an application offering tools for 2D and 3D aplications and functionalities useful for all those who design topographical or cadastral plans in digital format, who develop 3D terrain models and contours, fill and cut volumes calculation, raster image georeferencing and automatic printing. TopoLT is an indispensable tool for topography and cadaster, meeting all the requirements of the field and office work. The program is available in multiple languages and can be translated in any language by the user, and the functions can be configured for a wide range of situations. TopoLT is running on AutoCAD or other CAD platforms (IntelliCAD), using the drawing functions of AutoCAD and adding specific functions necessary to create topographical and cadastral plans in digital format. 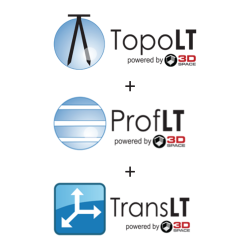 ProfLT is a program which offers functionalities for configuring, drawing and modifying longitudinal terrain profiles and cross sections. 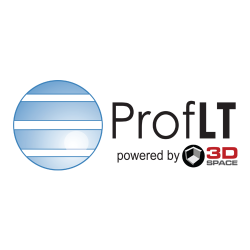 ProfLT application allows the insertion of points from a coordinates file, and based on the codes or on the 3D model the program generates longitudinal or cross profiles. The configuration options allow the user customization of the profile templates and saving of new templates, so all users can personalize the program depending on the their requirements. 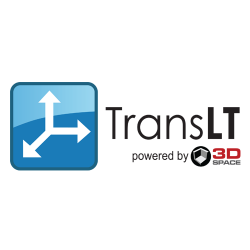 TransLT is designed to calculate the transformation parameters and the transformation of coordinates between two coordinates systems is a fast and practical way. The software is aimed at specialists who use GPS technology to perform geodetic works. Drawing of polygons, paths or points in Google Earth. To make it easy to operate with the multitude of existing reference coordinates systems, TransLT contains a module that extracts information from EPSG database. The program interface is intuitive, easy to use, the data can be imported from txt or csv files, and it allows saving the modification for each step of the transformation. 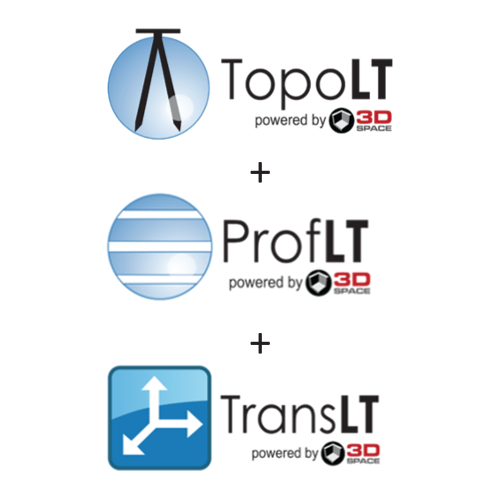 Licensing options for TopoLT, ProfLT and TransLT include both new licenses acquisition and also upgrades from a previous version to the latest version in order to take advantage of the latest functionalities. Products delivery and licensing is done electronically over the internet: you download the program and after you purchase it you receive by email the licensing code which entitles you to use the product indefinitely. You can purchase our products online with credit card payment in our Online Shop which we invite you to visit. CADWARE Enginnering offers its clients the free test version, 30 days fully functional, with every functionality as the commercial version. When the 30 days trial expires, in order to continue to use the program, you must buy a new license or upgrade your old license to the latest version.